Faye likes to think of her profession as astrologer as one of “story gatherer”. During her career she has seen hundreds of clients and listened to their stories. Astrologers are constantly researching and drawing conclusions from what they hear. The type of research that Faye advocates is not the statistical research that scientists keep demanding with astrology, but narrative research, a way of analysing stories that serves as a better method for investigating patterns in astrology. Using this type of research, Faye completed her Masters degree at Bath Spa University in the UK and graduated Master of Arts in Cultural Astronomy and Astrology in 2004. Her dissertation covered research on companies which included KLM, Martinair and C&A. This research will be published once it has been updated for the non-academic world. During her study Faye completed four other papers which are available online or in booklet form for purchase. “Authority Outside-in” – a look at the Sun and authority throughout history. “Astro-repute” – a study of astrological research and reputation. 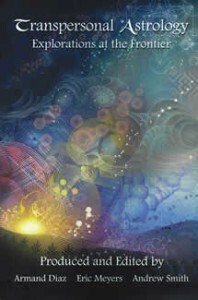 “Astrology and Past Lives” – a research paper on how the two are combined in practice. Faye has written articles for several astrological magazines in both English and Dutch including the highly acclaimed ‘The Mountain Astrologer’. Because these are for astrologers, a few of these can be found on Faye’s school site. Interviews have been published in various magazines in the Netherlands. One of her articles can be seen on her business website – www.juxtaposition.nl. The article entitled ” Cycles of History” compares the history of two companies, KLM and the Dutch daily newspaper the Volkskrant, which were ‘ born’ in the same period. Details of some of the interviews can also be found on this site (mostly in Dutch). Every month Faye produces her Monthly Planet – posts based on astrological principles about topics and events. To see these posts go to the Monthly Planet page. 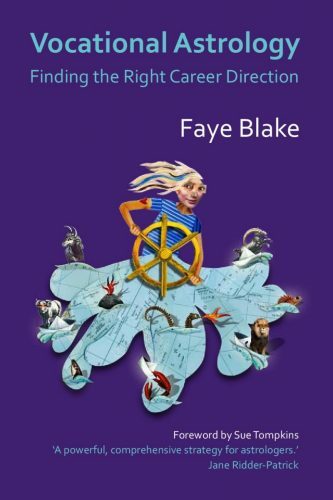 Faye is co-author, along with well-known astrologers, of the book “From Here to There – an Astrologers guide to Astromapping”, edited by Martin Davis. 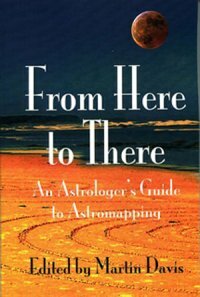 This book covers a technique known as Astro*carto*graphy, which is used to gain information about how different locations affect you and how this information might be used. She also wrote a chapter for the book “Transpersonal Astrology – Explorations at the Frontier”, which was produced and edited in 2013 by Armand Diaz, Eric Meyers and Andrew Smith. Her chapter is entitled ‘Is the Transpersonal Becoming Personal? The Planets as a Guide to Consciousness Development’.